Sunday was a busy day. I began with a birthday breakfast for Rachel, my mother-in-law, moved on to church (a Communion Sunday), to our congregational annual meeting, to celebratory frozen yogurt (for Rachel), to grocery shopping, then food preparation for our series on Faith and Alzheimer’s, and then home to a family dinner of chicken, roasted garlic mashed potatoes, and field peas (Rachel’s choice). And a good time was had by all. all nature sings and ‘round me rings the music of the spheres . . .
your cities will be ruins without inhabitant. The reader stepped back from the microphone as we sang our usual response to the reading, “Thy word is a lamp unto my feet and a light unto my path,” trying to figure out exactly where that road was going. Then he stepped back and read from Luke 4 and the account of Jesus’ difficulty of being a prophet in his own hometown. For all he had to say, the folks in Nazareth never could see Jesus as anyone other than the carpenter’s kid and couldn’t hear the message. I had my own struggle with hearing Ginger’s sermon because my hearing aids were no match for a bad mic. When the time came to receive the bread and the cup, I was unsettled and disquieted — not the best mood to digest the meal, still I w as ready to eat. My mind was crammed like an over-filled book bag, with thoughts and scraps spilling out all around me. I scribbled in my Moleskin, trying to find some order, some way to remember what mattered, some way to hang on to things I didn’t want to forget. 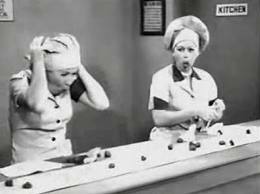 Right now, time feels like a conveyor belt and I’m right there alongside of Lucy and Ethel, trying to keep up with wrapping the candy. how do I digest a life that is offering more than I can take in? how do I learn to look at life as a banquet rather than a Golden Corral buffet? what do I need to hear and what can go on by? 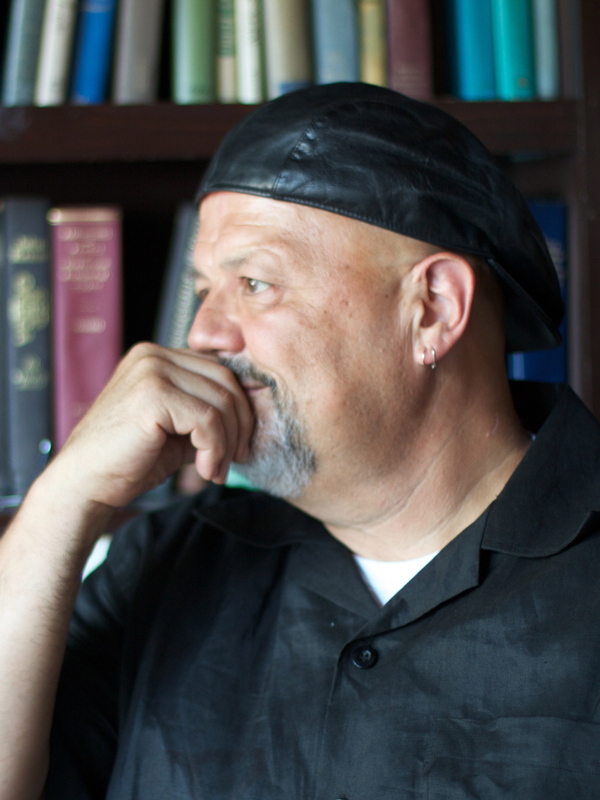 what is real conversation and what is white noise? At the close of worship yesterday, the acolytes came forward to extinguish the candles they had lighted at the beginning. Part of the ritual is for one of them to re-light the wick even as he puts out the candle and carry that little light of his back out into the world. In all that went on around the altar yesterday, the step stool that allows him to easily reach the candle had been moved and he had to strain to complete his task. He tried once, then twice, then he paused and tried again. You sound a little low in spirits, I pray for you Shalom in all its forms. May joy, light, energy, and abundance of every good thing be yours today. I loved your thoughts, Milton — a potpourri of excellent questions and challenging observations. Life is a bit like that, sometimes. Exactly what I needed tonight, Milton. Thank you. To me, Milton, you don’t sound so “down” as “thoughtfully aware” of human frailty. I appreciate the reminder that we are but dust.